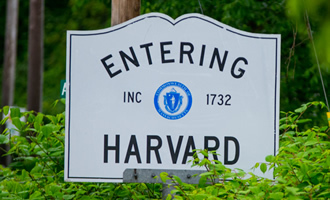 Not alot of dramatic things happened in Harvard when I was growing up. It was a small town so we got used to small things having relatively big importance. 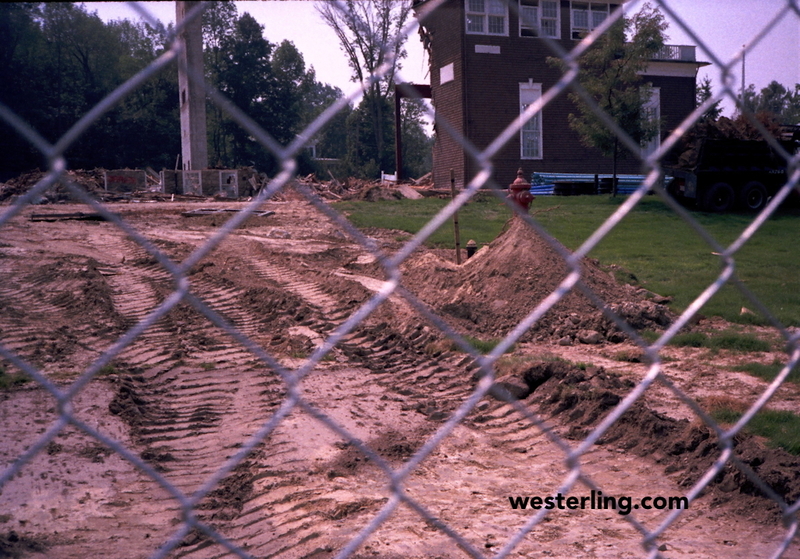 So when they decided to raze the grade school I attended for three years, I got out my camera and shot an *entire roll* (12 exposures) of film. That was a big expense for me, but seeing a building taken apart which had sheltered you for a majority of your daylight hours is new and unsettling imagery for a youngster to digest. I recently ran across the shots I took and wanted to post them for posterity. Those of you who were with me at the brown school will fondly remember the low ceilinged cafeteria downstairs, the huge gymnasium with the crank down basketball hoops, and the creaky wooden bannister staircases holding a thousand stories. The “Brown Building” just after its construction in 1905. 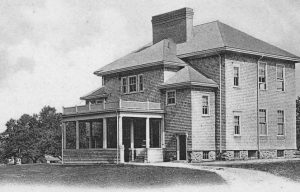 The Gym and Cafeteria were added on later. So with the history out of the way, here are my shots of the demolition. All that remains standing by is the chimney and one corner of the Gym. If you have some of your own to share, or even stories of your own feel free to post them in the comments section below. Thanks! 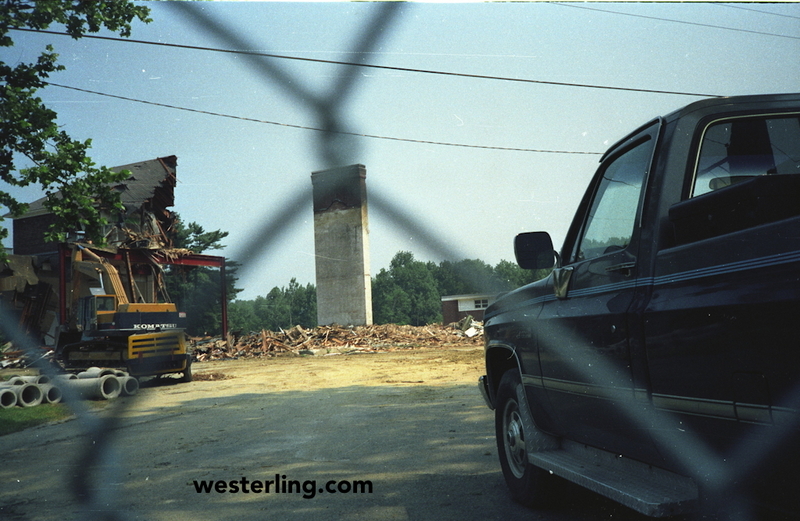 Brown building demolition, 1990. This is taken from Rt 111 looking southeast. 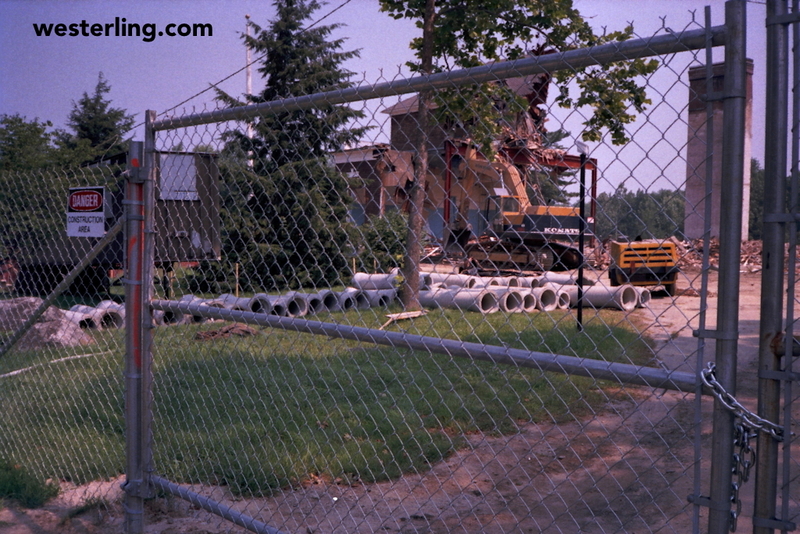 Brown building demolition. 1990. Not the steel beams which were used when adding onto the original building. 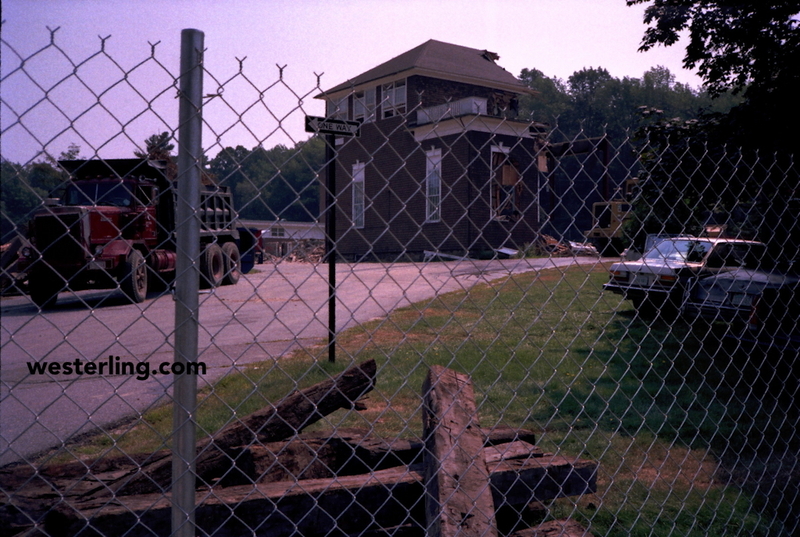 brown building demo, 1990. They don’t make chimneys like that anymore! 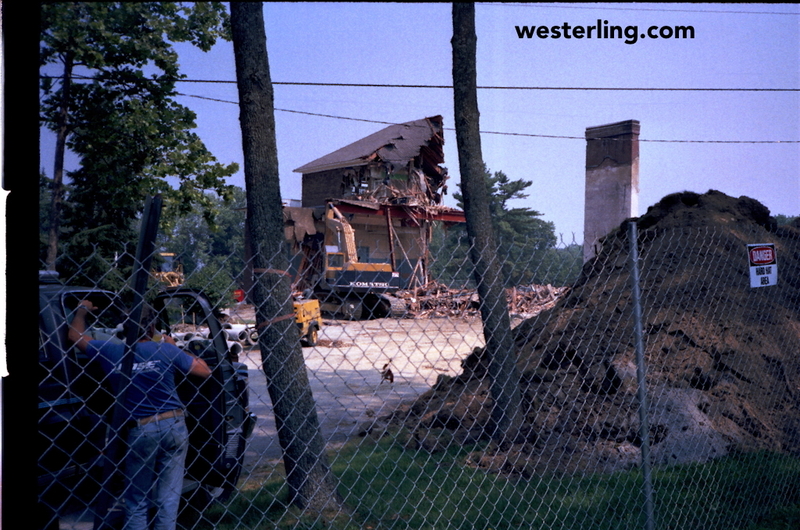 Brown building demolition, 1990. Here you can see a bit inside the building at the classroom above and the gym below. 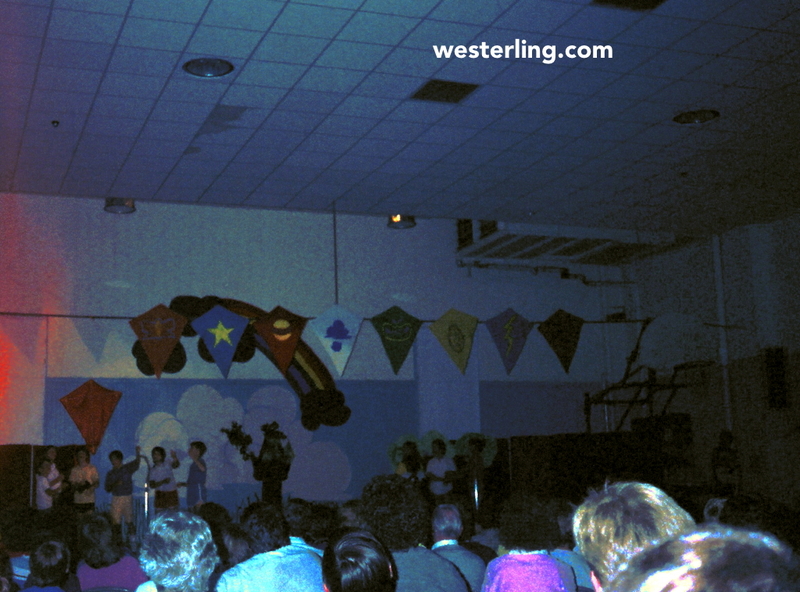 The only shot I have of the interior of the building is this one of the 4th grade play “How Boots Befooled the King” (taken a few years before the demolition). Note that the back wall is the same one still standing in the other shots. I get paid for this?